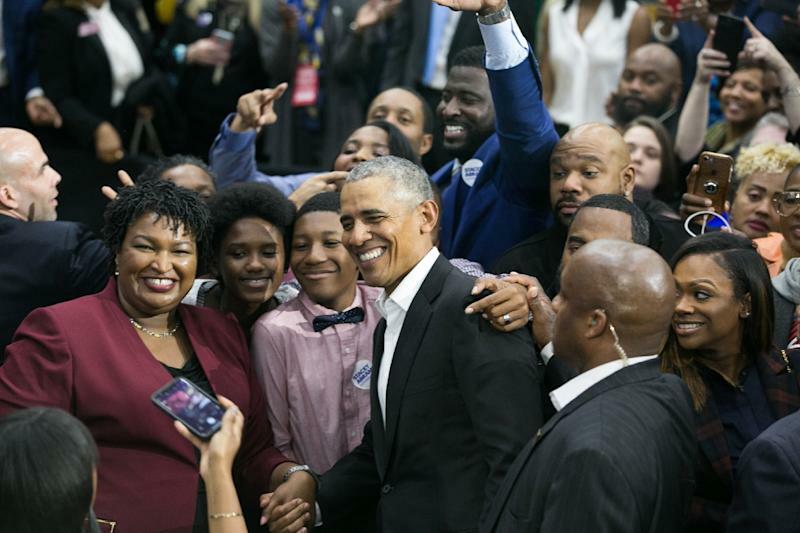 Washington (AFP) - Former US president Barack Obama spoke of his pride Wednesday over Democratic gains made in the midterm congressional elections -- but warned the battle for much-needed reforms had only just begun. "Our work goes on. The change we need won't come from one election alone -- but it is a start. Last night, voters across the country started it," Obama said in a statement. "I'm hopeful that going forward, we'll begin a return to the values we expect in our public life -– honesty, decency, compromise, and standing up for one another as Americans, not separated by our differences, but bound together by one common creed." Obama said attention would inevitably be focused on the Democrat's taking control of the lower chamber of Congress from President Donald Trump's Republican Party. But he urged supporters to reflect on how that victory was secured -- "by competing in places we haven't been competitive in a long time, and by electing record numbers of women and young veterans of Iraq and Afghanistan, a surge of minority candidates, and a host of outstanding young leaders." "The more Americans who vote, the more our elected leaders look like America," he said.